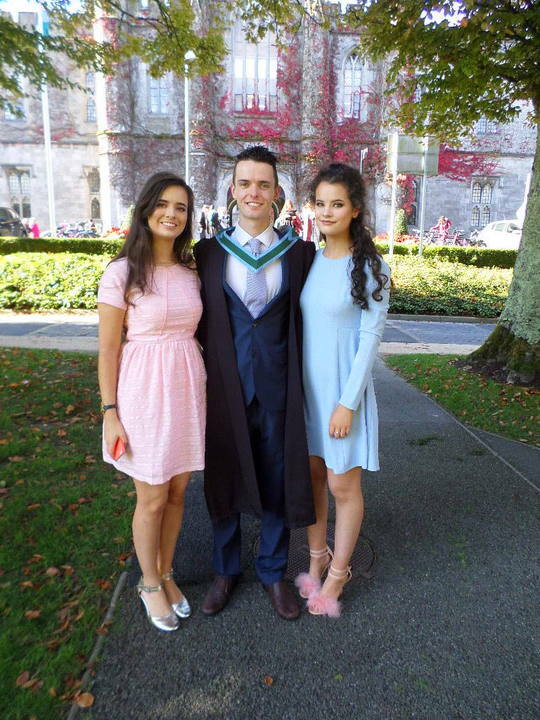 When it comes to big occasions, like my brother Emmet's graduation, I always tend to feel anxious. I think this stems from my Dad who, perhaps unknowingly, makes everyone feel slightly uncomfortable and on edge on days like this. I talk about my Dad quite a bit on my blog and this is down to the simple fact that he could be the cause and reason for my anxiety. I'm not sure but I was recently told by a new therapist that my anxiety had a male energy, so it makes sense I suppose. 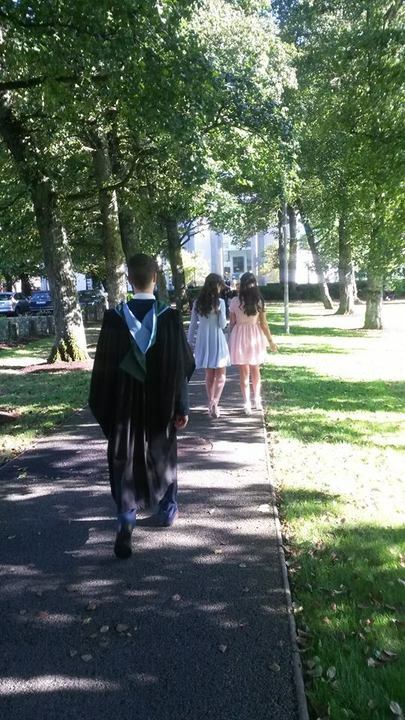 Anyway, it was Emmet's graduation on Thursday and I was feeling anxious all week. My Dad was supposed to be coming down to see us and I was terrified, mainly because I haven't seen him since April and before that I've seen him maybe twice since this time last year. It's strange. My Dad was a very big part of my life for eighteen years and now he's not. So, it was scary to think that I would have to see him again after all this time. I didn't know what we were going to talk about. 'How are you?' seemed a little silly. Should I give him a hug? I had such a hard time last week thinking all these thoughts and my anxiety was as bad as it's been in a very long time. After all that stress and worry however, he didn't bother letting me know that he had come down. He met Emmet for ten minutes and he left. I was SO relieved but also kind of angry, but that's beside the point. I didn't have to see him, so I could enjoy Emmet's day. The weird thing, however was that although I didn't have to worry about seeing my Dad and all I really had to do was enjoy my meal with Dearbhla, Emmet and my Mam, I couldn't help but feel guilty because I didn't even think about Emmet graduating all week. I was only thinking about me and I didn't think that was okay. It was his day and once again, my anxiety and mental illness took over what was supposed to be a really exciting and proud day for Emmet. It made me feel really selfish. Then I remembered that I was told to be selfish. My Mam tells me to be selfish all the time, counselors have told me to be selfish and I know myself that I do have to be selfish even though that is not the person I am. I need to look after myself in these tough situations even if it means enjoying someone else's achievements a little less. Because I looked after myself during Emmet's graduation I allowed everyone else to enjoy their day and that's all I really wanted. It was nice for my family to actually enjoy a family day out and for it to go smoothly because usually that is not the case. It makes me feel uncomfortable to be selfish and think solely about myself because I hate doing it. I like making sure other people are okay, I like knowing other people are having a good time and not worrying but maybe this is part of my problem and in order to help others I need to first help myself.